The Solis is a neat, compact surface or track mounted spotlight, with a unique design and a small arm, only 32mm wide. With interchangeable narrow, medium, wide or extra wide beam reflectors, that feature the ‘Retail Hot Spot and Halo’ for use in retail. 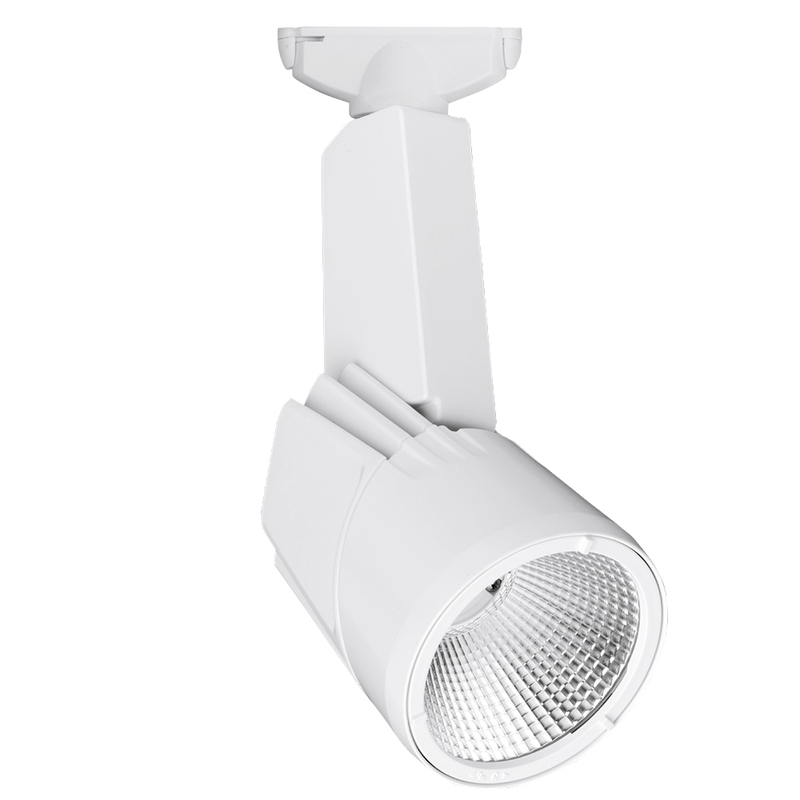 The light source is a high power COB LED, giving a system efficacy of up to 100lm/W. The standard offer includes an integral fixed output, or dimmable 1-10V driver. Available in White (RAL 9010), Black (RAL 9005), or custom Silver as standard, other RAL colours available on application. Rotates 340˚, head swings 90˚. Ra >80. Power factor 0.924. L80 B10 to 50,000hrs. 5 year warranty.